On the eve of the Olympics, a tribe in Brazil has made a powerful statement to the ranchers who are destroying their land and subjecting them to genocidal violence and racism. This follows a recent wave of violence and evictions, and the death of a seven-month-old baby in Apy Ka’y community in July. Aty Guasu has also produced a video compiling footage of recent instances of brutality against the Guarani and featuring graphic footage. 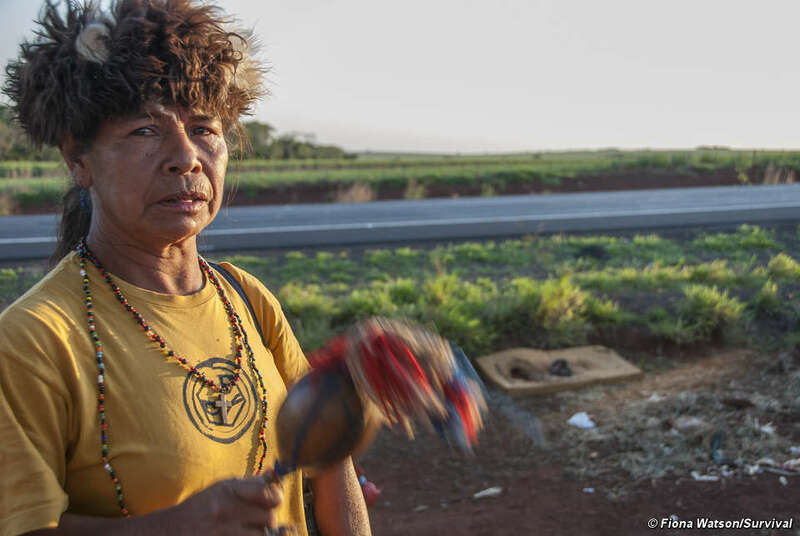 Many Guarani Indians have been forced to live on roadsides and are attacked by gunmen or forcibly evicted if they try to reoccupy their ancestral land. In July, Guarani families were evicted from their ancestral land by almost 100 heavily-armed police officers. A baby subsequently died of malnutrition and exposure, as Guarani houses were bulldozed and the community was forced back into makeshift encampments on the roadside. Earlier in 2016, several other Guarani communities were attacked by ranchers’ gunmen. One attack in Tey’i Jusu community led to one Guarani man being killed and several others – including a twelve year old boy – being hospitalized. Over the past few decades, most of the Guarani’s land has been stolen by destructive agribusiness, and they live by the side of the road and in overcrowded reservations. Guarani children starve and many of their leaders have been assassinated. Hundreds of Guarani men, women and children have killed themselves, and the Guarani Kaiowá suffer the highest suicide rate in the world. 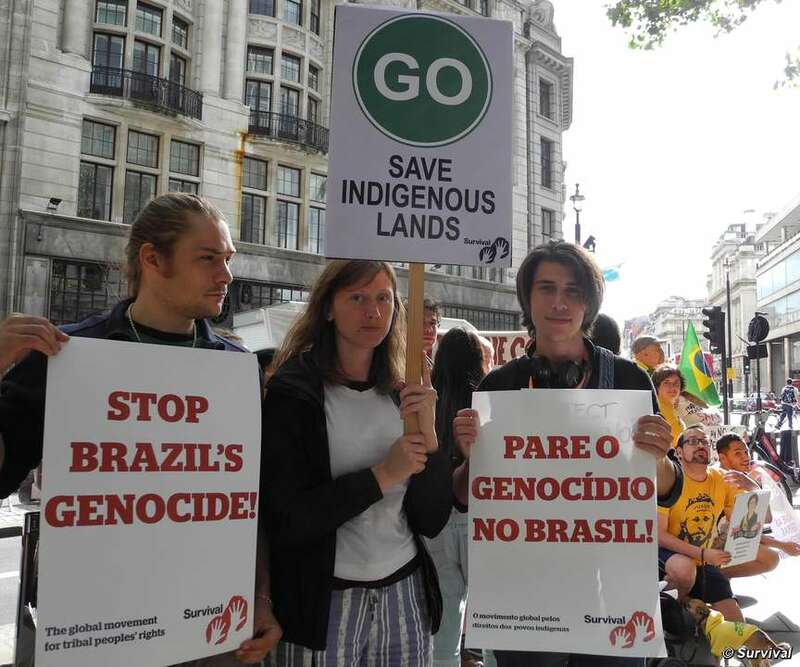 On July 31st Survival supporters demonstrated outside the Brazilian embassy in London. The campaign is calling for the Brazilian government to uphold the law by protecting the Guarani, demarcating their land, prosecuting murderers and providing food for starving communities until they get back their ancestral land. It is also concerned with uncontacted tribes – the most vulnerable peoples on the planet – and PEC 215, a proposed change to Brazilian law which would undermine tribal land rights and lead to the break up and exploitation of existing indigenous territories.